In October 2018 I travelled to Madagascar to visit the Aspinall Foundation run projects and sites. I spent twelve days with our team working in the field, kindly looked after by Maholy Ravaloharimanitra. Until my visit I hadn’t appreciated just how bad issues such as deforestation and land burning are, made worse by a lack of interest in the country for conservation work. However the dedicated team that work for the Foundation are doing tremendous work to try and save lemurs and the habitat that they live in. I have made a few notes on the sites I visited which I hope gives you an idea of both the unique beauty of this island and also how vitally important it is that we all work to conserve and protect the endemic flora and fauna. Ambodilongo: this site is home to an isolated population of red-bellied lemur, comprising of one breeding pair, and a total of 7 individuals. They remain in a tiny fragment of forest which is being looked after by a few local people funded by the Foundation, but which is not formally protected. There is no space for offspring to disperse as the area is surrounded by agriculture and roads. The proposed move to a larger area of forest has already been approved by the local authorities, but funding is needed to organise the move. Sahavola: this site is home to both greater and lesser bamboo lemurs. We stayed in bamboo huts on an area of land once owned by a sugar factory. Closed 20 years back, the owners gave the land to a local man who informed the Foundation of the lemur population during our initial surveys back in 2009. A few years later the factory wanted the land returned, so The Aspinall Foundation provided legal support to the new owner ensuring that the land will now stay privately owned and the natural habitat will continue to be protected from the destruction caused by planting sugar cane. Whilst there I saw both the greater and lesser bamboo lemurs and was shown how to identify the remains of bamboo after the lemurs have eaten the shoots. 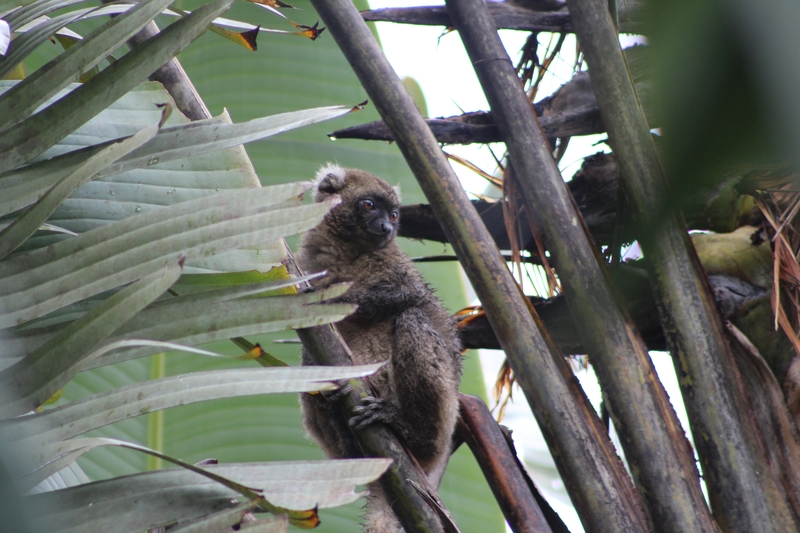 Identifying feeding signs has been a major component of the Foundation’s successful strategy to find new sites supporting greater bamboo lemurs. Most of the reclaimed forest is made up of traveller's palms, the national tree of Madagascar that grows so quickly in deforested areas it doesn’t allow other plants enough light to grow. Currently the area has a healthy population of both species of bamboo lemur. Andriantantely: like many of the sites the area we visited is quite remote. The journey took 6 hours by boat to travel from Anivorano, which was already a 7 hour drive from the capital. I stayed in the local village of Ambinanifanasana where The Aspinall Foundation has again funded a bamboo house on stilts for the primatologists to stay in. Local guides from the village are funded as forest patrollers, and I joined them on one of their regular patrols which they do 3 days a week. 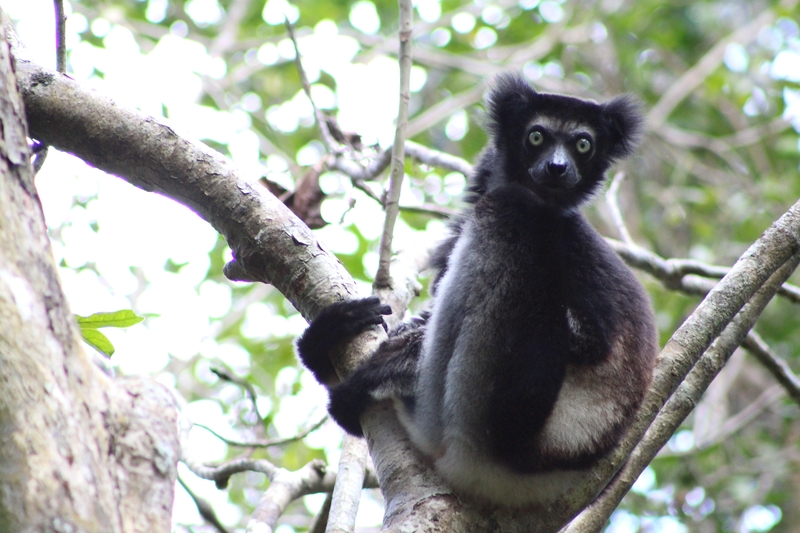 I saw several lemur species along the way including indri, black-and-white ruffed lemurs, woolly lemurs and lesser bamboo lemurs. Diademed sifaka is also known to be present but unfortunately I didn’t see it on this occasion, and greater bamboo lemurs live in the bamboo thickets surrounding the forest. As we reached the edge of the forest we found an area of trees had been cut down, and I witnessed first-hand one of the difficulties the team have to deal with. The man responsible was there and Maholy immediately told him he wasn’t allowed to clear forest. The discussion became quite heated but ultimately Maholy insisted that he not burn the area, as burning would not be controlled and would be likely to destroy a huge section of land. She also pointed out that the local forest patrollers would inform her of any changes. Overall the exchange was quite unpleasant and highlights the need for more forest patrollers. It also confirms what we believe - that wildlife conservation can only be successful when combined with acknowledging the needs of local people. This local community involvement is the basis of our work in Madagascar, but we need to do more. 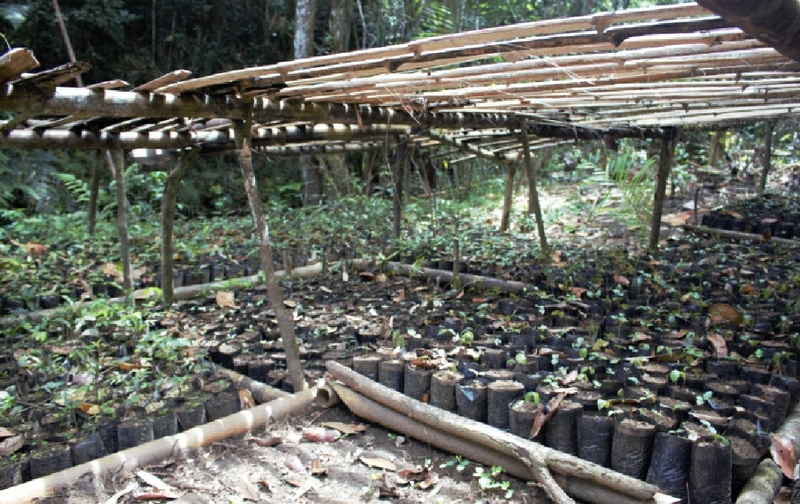 Such as bigger community projects to help local people understand the importance of the forest, and more education focused on sustainable farming practices, as at present new land is cleared each year to plant on the nutritionally rich soil. It was all primary forest that we were walking through, better than any of the national parks we went to, definitely a priority for protecting. The area’s value for wildlife was made all the clearer to me as, on our exit of the forest later, I saw an indri sitting in the very bottom edge of the remaining forest, next to the cleared land, looking out across the destruction which had only hours before been part of its habitat. Sakalava: this is a large village right on the edge of rainforest protected by the local community. Community projects here include helping with the local school, and providing notebooks for the students. The team in Madagascar have advised the teachers about conservation and sustainable practices so that they can educate the children. There are 4 local primatologists working 4 days and 3 forest patrollers working 3 days a week. The patrollers have always lived here but used to make their living by logging the forest and selling it. Now they are paid to protect the forest and have organised a plant nursery. They collect seeds on their patrols which are planted in a nursery located in the middle near the river. This forest area has a central section that previously suffered deforestation. 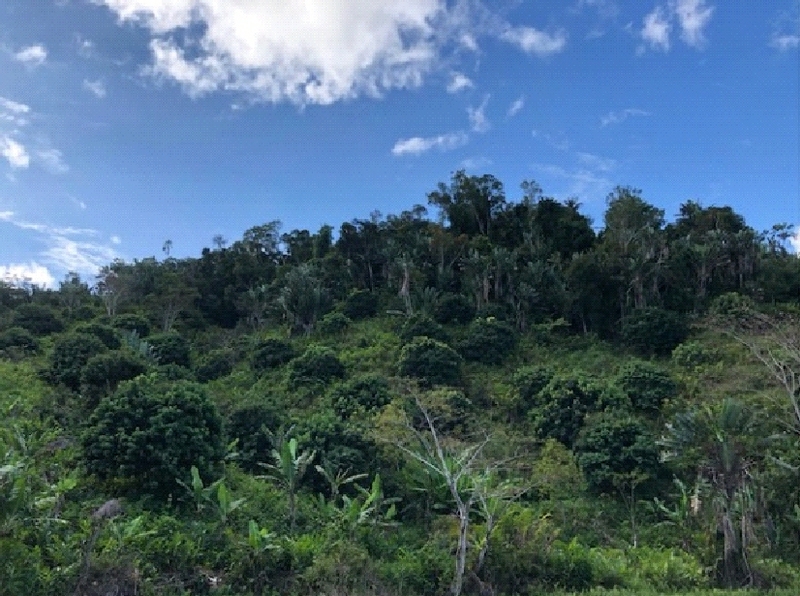 The intention is to re-plant and get it back up to secondary forest so that it will connect the whole area providing larger habitat for lemurs. The local staff and the nursery project here, and in Andriantantely, are currently funded by grants the Foundation received from the IUCN SOS (Save our Species) initiative, and support from Beauval Nature and Cerza Conservation; although this will need to be funded from alternative sources should the grants not be renewed. The aim is to plant 10,000 trees this year. 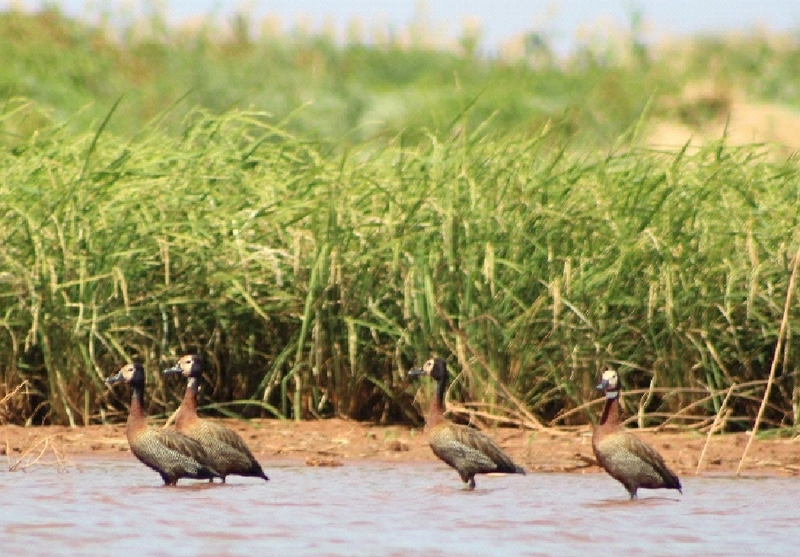 Maevatanana: The Foundation’s work in this area of western central Madagascar is supported by a grant from the Critical Ecosystem Partnership Fund (CEPF). Due to safety concerns we were limited in our options and were unable to reach the site via the usual approach from Ambato-Boeny. As a boat was also unavailable it took a long, hot, walk of several hours before we reached a large lake teeming with birdlife. Both the wetlands and the nearby forest are areas where The Aspinall Foundation is developing community-based conservation projects. As it would take a further 3 hours walking in the heat to reach the forest where lemur research is being carried out, we decided to spend our time at the lake. There were lots of birds around the lake including the endangered Humblot's heron and the more common white-faced whistling ducks. The critically endangered Madagascan fish eagles have also been seen in the region but I was advised sightings normally ocurred very early in the morning and some distance from our location. Overall my visit to Madagascar left me with a far better understanding of both the beauty of the island and its wildlife, and some of the complex challenges facing its conservation. Your support is helping to make this work possible but, as always, we could do more. Even relatively basic supplies such as boots, raincoats and cameras can make a real difference to the local forest patrollers, so every donation counts.